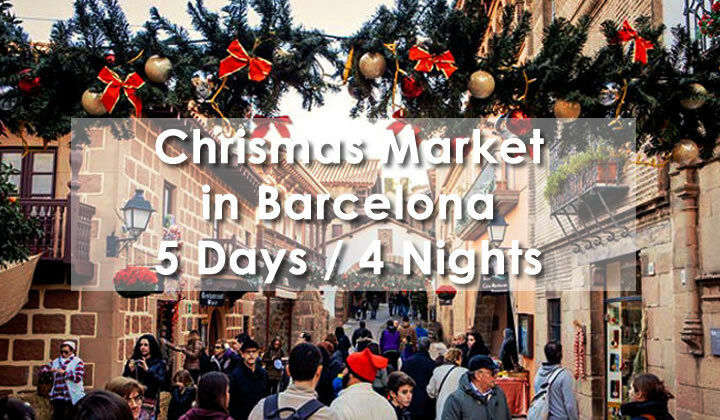 A Christmas in Barcelona is to visit the Catalan capital in festive season with its lights, its Christmas market, and many other things. Discover the charms of Sagrada Família, Parc Güell and the modernist houses of the Catalan architect Antoni Gaudí. Admire the scenery between the sea and the mountains in this special Christmas atmosphere. Departure from your region to Barcelona. Accommodation in a 3*** hotel for 4 nights in Barcelona. Meals – Night. A day dedicated to the discovery of Barcelona. In the morning, a panoramic tour of the city by coach (with guide). 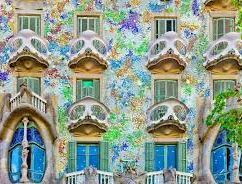 You will admire the emblematic streets of the Catalan capital, notably the Passeig de Gracia where you will admire the houses Batlló and Mila (external views). Meals in a restaurant in the center of Barcelona. In the afternoon, guided walking tour of the Gothic Quarter to discover its narrow streets, St. Croix Cathedral, Real Square, the famous Ramblas and the Boqueria Market. Meals – Night. 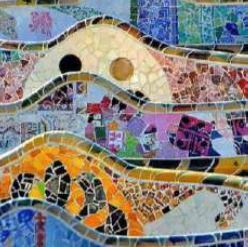 In the morning, guided tour of one of the emblematic works of the famous Catalan architect Antoni Gaudí: Park Güell (tickets included). 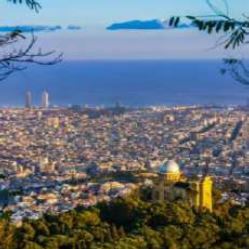 This park, classified by Unesco, offers a lot of unique architectural elements and you will be able to admire the impregnable view on Barcelona. Then, discover the Sagrada Família (exterior views), basilica still in construction today. Meals in a restaurant in the center of Barcelona. 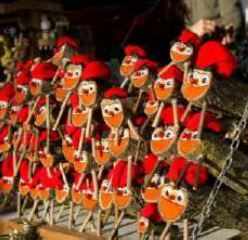 Free stroll to the Christmas market of Santa Llucia, which is in front of the cathedral, to discover the Catalan traditions of Christmas. Return to the hotel. Meals – Night. 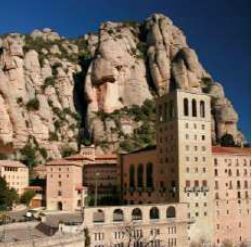 Guided tour of the spectacular mountains Montserrat, with unique forms and at the top of which “la Moreneta” (the Black Virgin of Montserrat), patron saint of Catalonia is preserved. After the ascent by track train, discover, in the middle of this natural park, the majestic sanctuary of which you will visit the basilica. Meals in the restaurant of Montserrat, free buffet. Return to Barcelona and free afternoon for personal shopping or stroll on the city center. Return to the hotel. Meals – Night. Breakfast. Departure from the hotel and then return to your región.